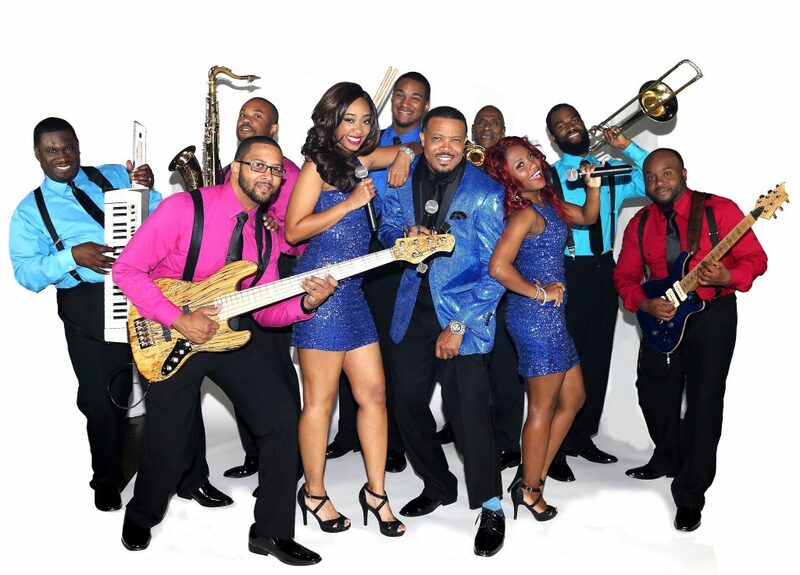 The Party Jammers® is a professional live show band available to perform as wedding reception entertainment, corporate events, private parties, festivals, fundraisers, and more. Check out our testimonials to see how brides, grooms, and parents of brides love how we keep the guests on the dance floor all night as wedding reception entertainment, and how corporate and non-profit clients appreciate our professional performances at corporate events, fundraisers, and other events where we entertain. The Party Jammers® are the hottest high-energy show band around. Jam-packed with soul, The Party Jammers® effortlessly transition through any genre. If you are looking for a dazzling show production, top-notch performers and an overall unforgettable night that will keep your dance floor packed all night then look no further than this (7) seven-piece show band (2 female & 1 male lead vocalists, drums, bass, guitar & keys – all members sing back-up and harmony). 3 hour OR 4 hours continuous music options (no band breaks).